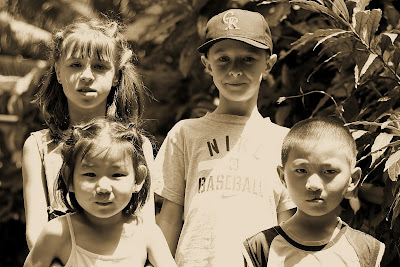 A new camera plus four kids equals a little tough to get a good picture of them. They don't have much time to wait for Mom especially when all the butterflies were flying over our heads. So for now the four of them!